-- Are you looking for a fast and easy dinner or snack recipes for cooking from scratch, that are also easy to do? 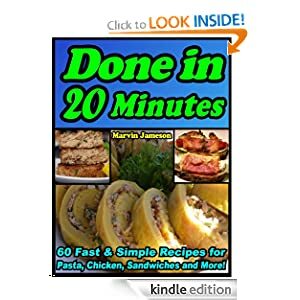 In "Done in 20 Minutes" you will find quick and easy recipes for chicken, pasta, sandwiches, rice, eggs and other meals. These 60 recipes are selected with only one thought in mind: speed. All of them can be made in 20 minutes or less.